The Mississippi Supreme Court will unveil a portrait of retired Presiding Justice Kay B. Cobb at a 2 p.m. ceremony on Sept. 6 at the Supreme Court Courthouse in Jackson. 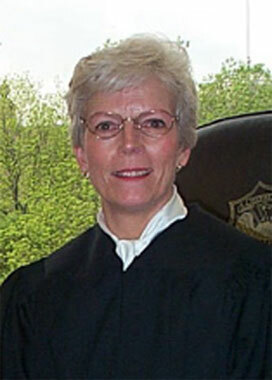 Justice Cobb was the second woman to serve on the state Supreme Court. Former Gov. Kirk Fordice appointed her to the court on April 1, 1999. She retired May 1, 2007. Artist Robbie Boyd of Pontotoc painted the portrait. Boyd’s portrait of former Gov. Bill Allain was hung in the Hall of Governors at the Capitol in January. Boyd paints landscapes, portraits, still lifes and animals. “I like it. I’m proud of it,” said Justice Cobb, who sat for the portrait that will be given to the court. The portrait will hang in the second floor hallway of the Gartin Building. It will become part of the Supreme Court's historic collection, which includes more than 40 portraits of justices who served from the 1800s to modern times. Colleagues and friends will speak at the ceremony. Chief Justice Bill Waller Jr. will preside and speak. Presiding Justice Michael K. Randolph will introduce guests. Former Court of Appeals Judge Mary Libby Payne and Mississippi College School of Law Dean and Mississippi Bar President Patricia Bennett also will speak. Justice Cobb, 76, lives in Lenoir City, Tenn., with her husband Larry Cobb. They have family in Knoxville, Nashville and Chattanooga. They lived in Oxford at the time she served on the Supreme Court. Justice Cobb grew up on a farm in Cleveland. After graduating from Mississippi University for Women in 1963, she taught elementary school for three years to children of military personnel while her husband was stationed with the U.S. Air Force in Japan. She spent five years as a job placement counselor for the Texas Employment Commission, where she assisted people with physical handicaps and people recently released from prison in efforts to find employment. In 1975, she and her family moved to Oxford, where she enrolled in the University of Mississippi School of Law. She earned a law degree in 1978. She practiced law in Oxford until November 1982, when she became Director of Prosecutor Programs at the Mississippi Prosecutors College at the University of Mississippi School of Law. She served as senior attorney for the Mississippi Bureau of Narcotics from December 1984 to June 1988. She became a special assistant attorney general and established a North Mississippi regional office in 1988. She served as state coordinator for the State Wide Education, Enforcement and Prevention System (SWEEPS) program, where she was responsible for community mobilization in drug education and prevention efforts. She served as state Senator for District 9, representing Calhoun, Lafayette and Yalobusha counties, from January 1992 to January 1996. Justice Cobb was chair of the Supreme Court Human Resources and Computer committees. She was the court's liaison to the Gender Fairness Advisory Study Committee and the Commission to Address Concerns for Impaired Lawyers. She was a member of the Women in the Profession Committee of the Mississippi Bar. Before she joined the court, she served on the President's Commission on Model State Drug Laws and the National Alliance for Model State Drug Laws. She was president of the MUW Alumnae Board and chair of the Inter-Alumni Council for State Institutions of Higher Learning. She received the MUW Medal of Excellence in 1990 and the Mississippi State University Outstanding Mississippi Woman Award in 1992.